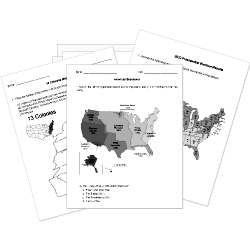 You can create printable tests and worksheets from these Grade 6 Ancient History questions! Select one or more questions using the checkboxes above each question. Then click the add selected questions to a test button before moving to another page. Who was the first Emperor to become Christian? What was the Egyptian writing system? Which philosopher taught that the way to get to the truth is through a series of questions? Athens is located in which region? Written records first appear during which dynasty? Which Greek philosopher founded the Academy? Which civilization conquered the Minoans? Which philosopher was the first to propose the theory that all matter is made up of atoms? What is the name of the period following the collapse of the Mycenaean civilization? The Minoan civilization began on which island? taught that the essence of the universe could be found in music and numbers. Who was the first woman to rule Kush? Legend says that the founders of Rome Romulus and Remus were raised by . What was the material used to make paper in Ancient Egypt? Kush remained an Egytpian territory for how many years?